Home Celebrity Glitz She Boss 4 Hosts Ladies in Media & Entertainment at Havana! Glitz She Boss 4 Hosts Ladies in Media & Entertainment at Havana! 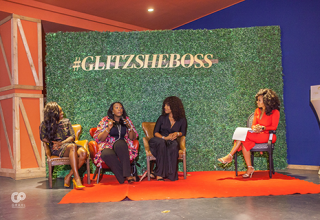 Glitz Africa came through with its fourth edition of its ladies only private networking event, ‘She Boss’ which brought together many of Ghana’s ladies working in the media and entertainment industry at Havana lounge located at Marina Mall, Accra. The event was hosted by the lovely radio personality, Vanessa Gyan of EIB Network. There was a side discussion on the theme, ‘What Men Really Want’ which had actor John Dumelo, media personality and fashion designer, Kwasi Okyere Darko and Executive Director of Big Ideaz, Kojo Poku as special guests to share their views. The talented songstress Adomaa treated the guests to some great tunes. 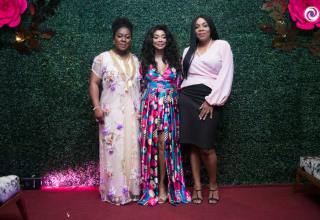 The event was graced with the presence of personalities like Menaye Donkor and her Miss Universe beauty queens, Juliet Ibrahim, Kafui Danku, and Akumaa Mama Zimbi. Berla Mundi, Solace Rose Quartey, Kemini Amanor, Doreen Avio, Jacinta, Eli Kharis, Regina Van Helvert, Victoria Lebene, Viennty, MzBel among others were also present. A couple of ‘He Bosses’ with the likes of Jay Foley also made an appearance. Maybelline, Safari Cosmetics by SK, Dark and Lovely, Be Favoured, Sparkle Mineral Water and Oh My Hairr were proud sponsors of the events who provided their products for goodie bags to be given to the guests. It was a fun and relaxing night for such hardworking women to unwind and network. Glitz Africa sends its heartfelt gratitude to everyone who made it to the event and helping it to be a success! A big thank you also goes to Havana Lounge for lending your beautiful space to host the event.